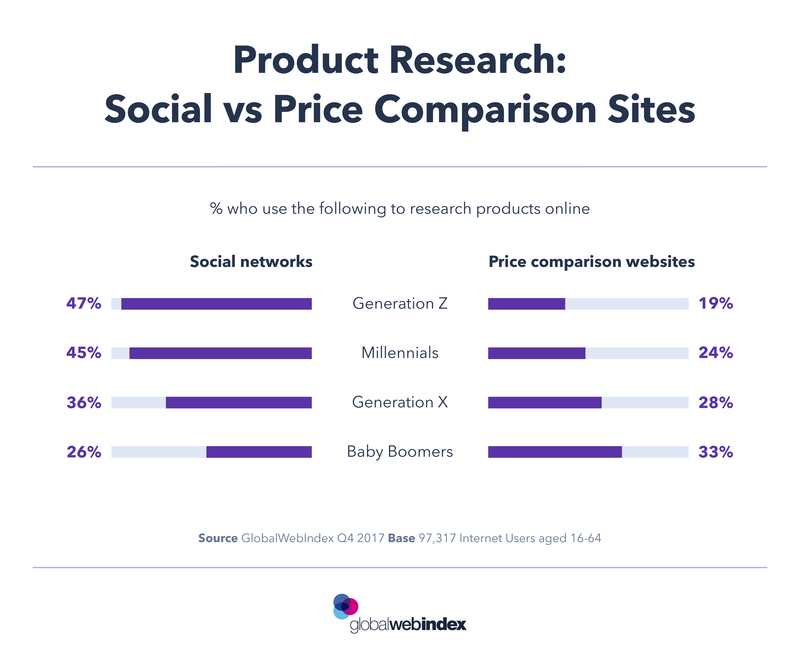 Moving to the research stage of the purchase journey in this week’s series, today’s chart focuses on the appeal of social networks and price comparison sites between generations. 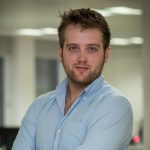 As we saw yesterday, brand discovery is still centred around traditional channels like search engines and TV ads. At the research stage, consumers have more of an agenda, however, wanting to narrow down their buying options in today’s vast digital landscape, using a range of channels. Across all generations, we see important differences in how they choose to get more information on their purchasing options. Although social commerce has been relatively slower to gain traction in the West compared to some parts of Asia, social media now sits in the top two options for product research, and it’s younger generations leading the charge. Among the Gen Zers, social media is now the top means of finding more information on products online, above even search engines. As we move up the generations, other – more financially motivated – channels rise in importance. The most prominent of which are price comparison sites which allow consumers to compare deals on a range of products. The Baby Boomer cohort is 14-points ahead of the Gen Zers for this option. Just as usage of these channels rises along with older generations, we also see the same pattern for saying that a consumer always tries to find the best deals for products. What sets social media apart and a primary contender to price comparison sites is that peer-reviews, rather than general public ones, do shift gears in product research. As the Gen Z generation comes of age, and the Millennials continue to gravitate towards social product research, it may not be too long before social media surpasses search engines to be the top product research channel, confirming the opportunity for social commerce to follow suit. Gen Z are defined as internet users aged 16-20; Millennials are defined as internet users aged 21-34; Gen X are defined as internet users aged 35-53 and Baby Boomers are defined as internet users aged 54-64.